Founding member Peter Whelan and ‘the queen of the recorder’ (BBC Radio 3) Pamela Thorby are the soloists challenged with meeting the virtuoso demands of this engaging music. 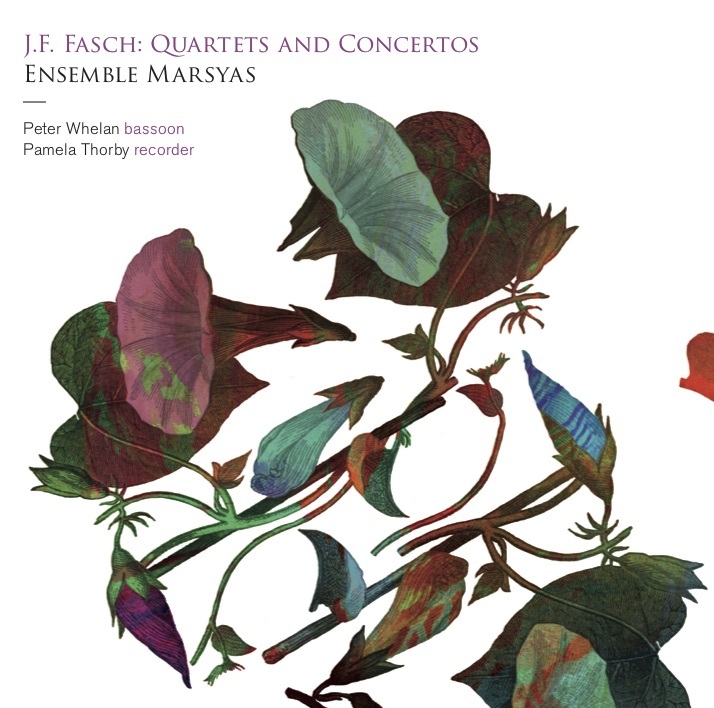 The four-movement Quartet in B flat major for recorder, oboe, violin and continuo is among one of Fasch’s most popular works; full of catchy tunes and contrapuntal ingenuity in equal measure, virtuosity is demanded from all concerned. The Concerto in F major for recorder and strings was only recently attributed to Fasch. It is full of characteristic Fasch-isms and of the same dramatic quasi-recitative style as his Bassoon Concerto. The ensemble and featured soloists are: Josep Domènech Lafont & Molly Marsh oboe, Alec Frank-Gemmill horn, Sophie Gent & Huw Daniel violin, Alfonso Leal del Ojo Chamorro viola, Sarah McMahon cello, Thomas Dunford theorbo, Philippe Grisvard harpsichord and Pamela Thorby recorder.